When you think of Verizon Wireless(s vz)(s vod) as a company, do you think of products such as smart meters, car diagnostics modules or connected recycle bins? Probably not and it’s easy to understand why: The consumer face of Verizon Wireless is that of a cellular phone company that now covers 273 million consumers with fast LTE service on smartphones and tablets. 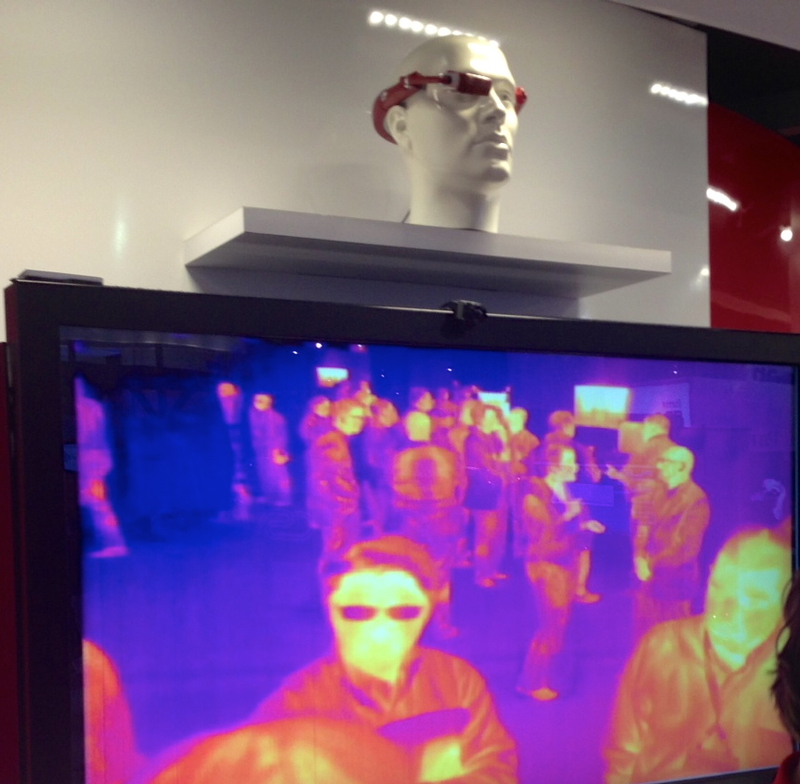 But you’d never know that from the company’s booth at CES. I toured the booth today and while I didn’t measure it exactly, I’d estimate that 97 percent of the floor space wasn’t used to show off phones or tablets. Instead, Verizon is highlighting its Innovations Center, which it opened up in 2011, Since then, Verizon worked to get the building blocks in place so it could help partners with connected device ideas. And that’s what CES 2013 is all about for the company. So what kind of partners and products — Verizon prefers to call them “solutions” — are in the spotlight? 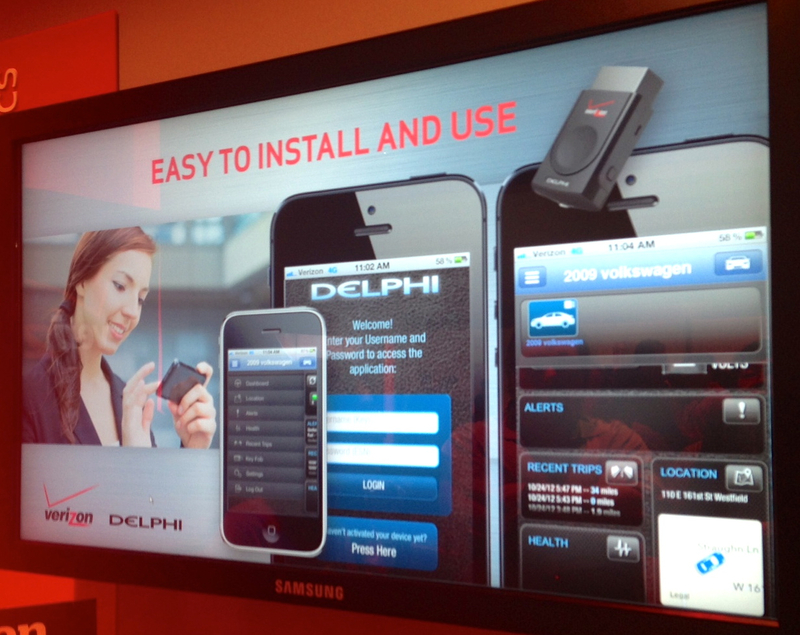 Through a partnership with Delphi(s dlph), I saw a small OBD or on-board diagnostic module, for cars. By plugging the small device into a vehicle, it can gather heaps of data from the car ranging from engine settings to tire pressures to details about the electrical system. There are wired readers for such OBD modules, but why not add cellular connectivity? Without wires, a car rental agency could place these in their entire fleet of cars, for example, to monitor the vehicles for safety and maintenance. As each car transmits its data, then, it could be aggregated in a centralized dashboard at the rental agency’s headquarters; you can’t easily do that with wires unless you want to pull every module daily and dock it. I also got a glimpse at the BigBelly Solar recycling bin; not something you’d equate with a wireless company, right? It turns out that these public recycling bins — which use solar power for energy to compress waste — benefit from a cellular connection. 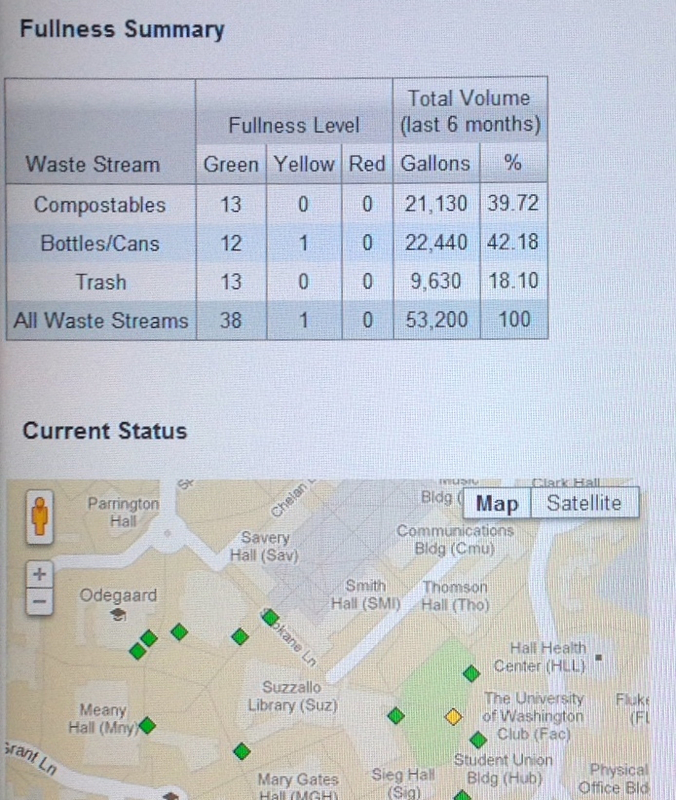 Each bin has sensors to monitor the level of recycled materials that are inside. With an M2M connection, the bins each report their waste capacity levels to the central recycling collection company. If a bin is half-full or less, for example, the company doesn’t have to waste time or fuel to empty it right away. The collection company can see all of its bins on a map with green, yellow and red indicators — each representing the fullness of each bin — and route trucks only to the bins it needs to. Speaking of trucks, you should soon see a new Verizon commercial with fire-trucks in it, if you haven’t already. One of the fireman in the piece is wearing a connected headset, similar to Google’s Project Glass(s goog). Because it’s connected, he can see a map or floor plan of the building on fire, presumably to help him navigate through the smoke. This isn’t an application you’d want to use by tethering the goggles to a phone; this benefits from a dedicated wireless connection. And while it may sound far-fetched, one of Verizon’s Innovation Center partners was demonstrating a similar product meant not for consumers (darn!) but for public safety and industrial workers. I could go on and on describing what was on display: A connected athlete helmet with sensors to track hits in a football game; running shoes that upload their own data; even a smart meter that’s super smart: It can track and report energy consumption down to the individual circuit level. Oh there were some phones and traditional consumer products on display too. But they were on one small circular table that saw far fewer foot traffic during my time there. Does everything need a dedicated cellular connection then? Certainly not and the smartphone is sure to be our hub of connectivity for some time to come. The Innovations Center, however, is enabling partners to “connectify” their products. Verizon’s just there to provide the connection itself and to help with the wireless integration. It’s up to the visionaries outside of Verizon to imagine how products and solutions can benefit from a robust wireless network.